Tū ki te marae, tū ki te ao, tihewa mauri ora. Tēna tātou e te whānau, tuatahi, me mihi ki tō tātou matua nui i te rangi, nāna nei ngā mea katoa. Tuarua, ki ngā mate hohua o te wā, haere. 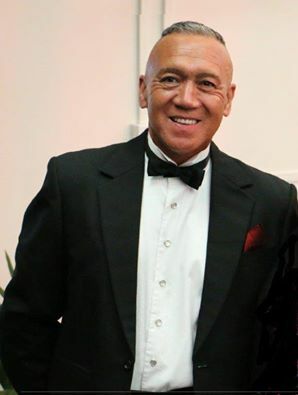 Haere ki pae maumahara, haere ki te kainga tūturu mō tāua te tangata. Mate atu he tete kura, ko rātou tēna i okioki ai. Ara ake he tete kura, ka hoki tēnei ki ngā kanohi ora, koutou rā e te whānau, tēna koutou. E rere e te kōtuku rerengatahi. Kua whakawhiti koe ki te whatiwhati kōrero ki te huihuinga wairua. Ko koe tēnei e Hone, kua momotu atu i tēnei ao ki tua o te arai. E Hone, e rere i te rere ka horekau nei i hokia. Haere atu ki ngā rangatira i takahia te ara ki te whare tapu o tō tātou Matua Nui I Te Rangi. E Hone, haere, haere, haere atu i runga i te rangimarie, taukiri e te mamae. The Leadership Academy in Italy in 2014. 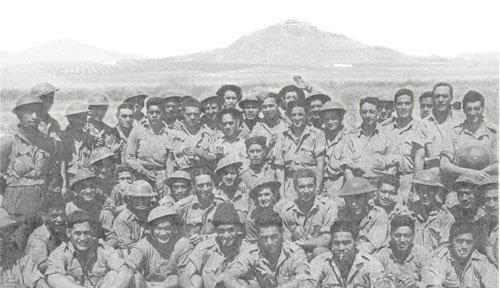 The 28th Māori Battalion was part of the 2nd New Zealand Division, the fighting arm of the 2nd New Zealand Expeditionary Force (2NZEF) during the Second World War. It was a frontline infantry unit made up entirely of volunteers, and contained 700-750 men divided into five companies. Like the other infantry battalions, the Māori Battalion was divided into five companies: four rifle companies of about 125 men each and a headquarters (HQ) of around 200 men. Each company was commanded by a major or captain. The Battalion’s four rifle companies (named A, B, C and D) were organised along tribal lines, while HQ Company drew its personnel from all over Māoridom. The main body of the Māori Battalion left New Zealand as part of 2NZEF’s 2nd Echelon in May 1940. The last Māori recruits to see action, part of 2NZEF’s 14th reinforcements, arrived in Italy in April 1945. 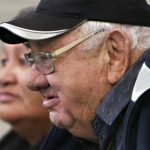 In 2006, He Puna Marama Trust applied to a one-off fund set up by ASB Community Trust, to address Maori educational under achievement. In 2007, the Ministry of Education found that 81% of Maori boys failed NCEA Level 1. In 2010, The Leadership Academy of A Company was formally established. Its purpose: to build a culture of educational and lifelong success for our boys and was championed and blessed by the lasts remaining vets of 28 Maori Battalion A Company, Matua Sol Te Whata and Matua Charlie Petera. In the lead up to Anzac Day as the sun sets boys from the Academy join representatives from the Defence Forces and RSA to lower the ensigns, read the ode in English and Māori and play the Last Post. 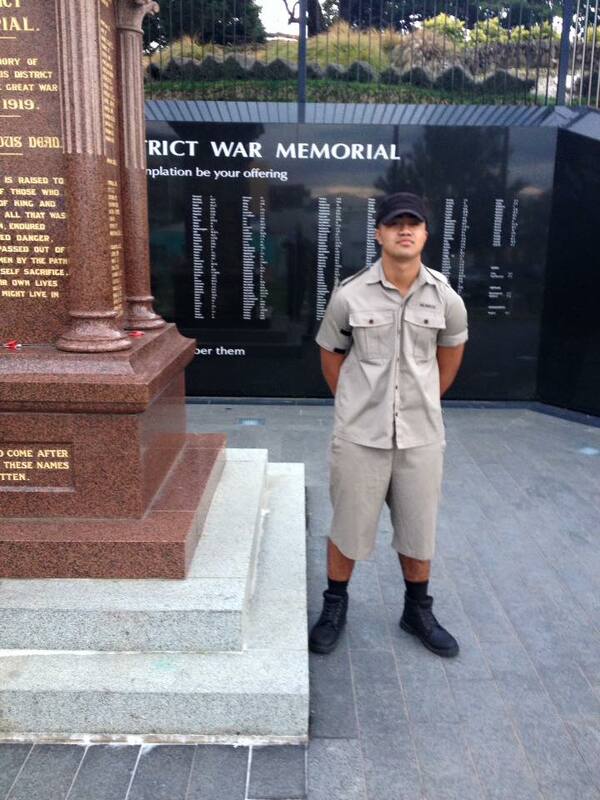 Cadet Te Rangi Munro is pictured on duty on Wednesday night. 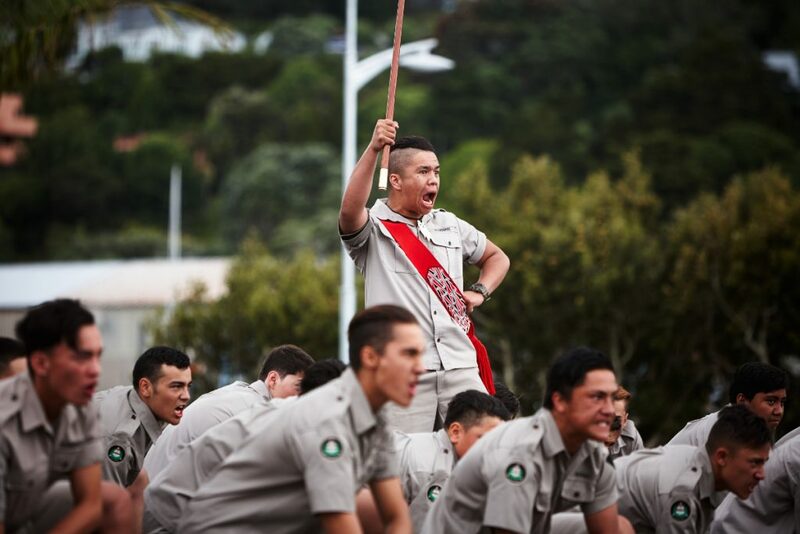 The kaupapa of the Academy draws strength and direction from its links to the 28 Māori Battalion, in particular their legacy of honour, courage, resourcefulness, hard work, pride and commitment. 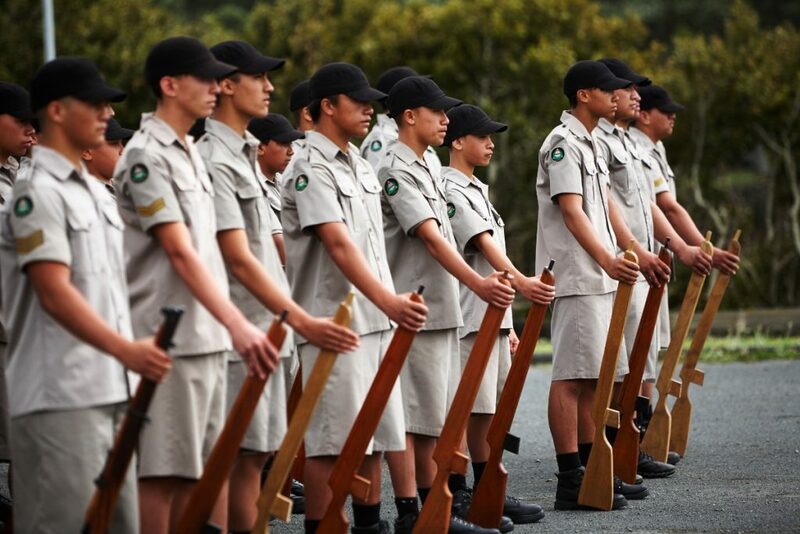 Following in the footsteps of the 28th Māori Battalion, the Academy instils a military ethos that emphasises a sense of purpose, discipline, routine, personal responsibility, leadership training and strong, supportive relationships. In 2014, our kura hourua, Te Kāpehu Whetu opened. 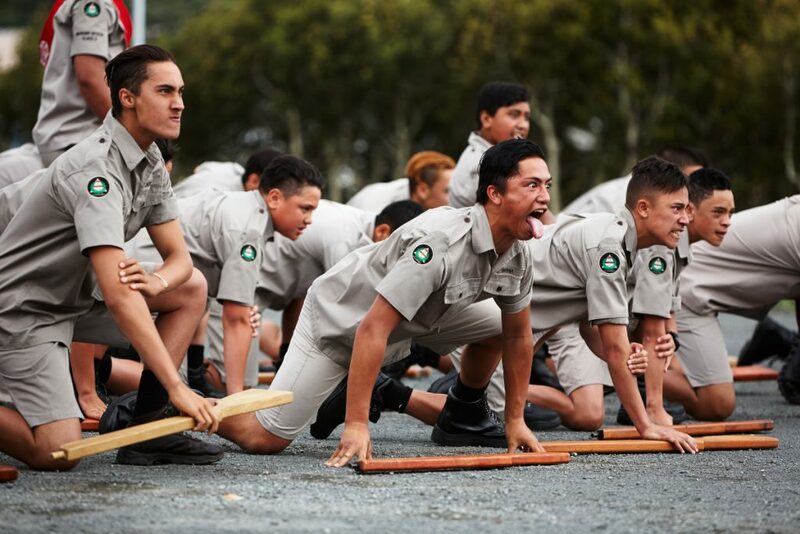 The Leadership Academy was both the catalyst for this and became the male leadership strand in the kura with ākonga able to progress through to become cadets. The boys are with us for a long time and what we have to teach them cannot be learnt overnight. It’s a slow burn process of learning. We’ve learnt to be patient and, in the process, have become more strategic in our outlook and in our interventions. The Academy’s vision is Tū ki te marae; Tū ki te o – Stand on the marae; stand in the world. We want our boys to see the Academy as a place to stand tall and be encouraged to do things they never imagined they could do. Kura starts back on May 2. 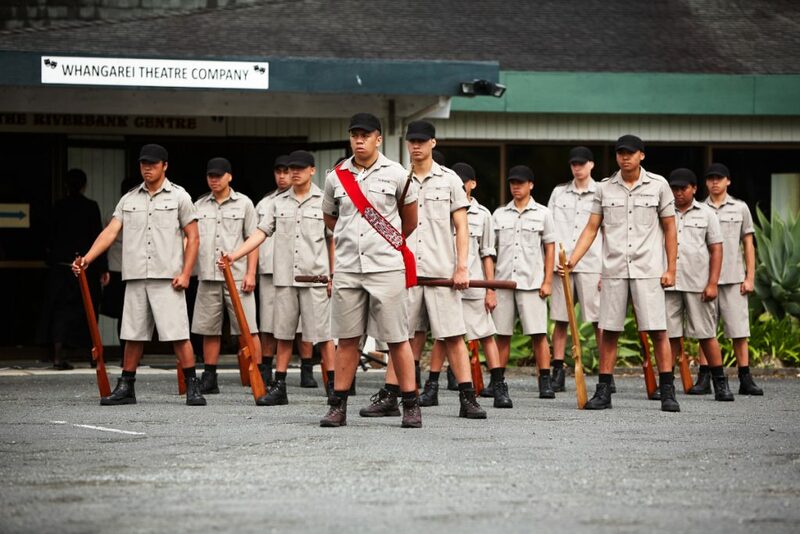 Ākonga are expected to arrive in full uniform by 8:45am ready for the start of a new term. 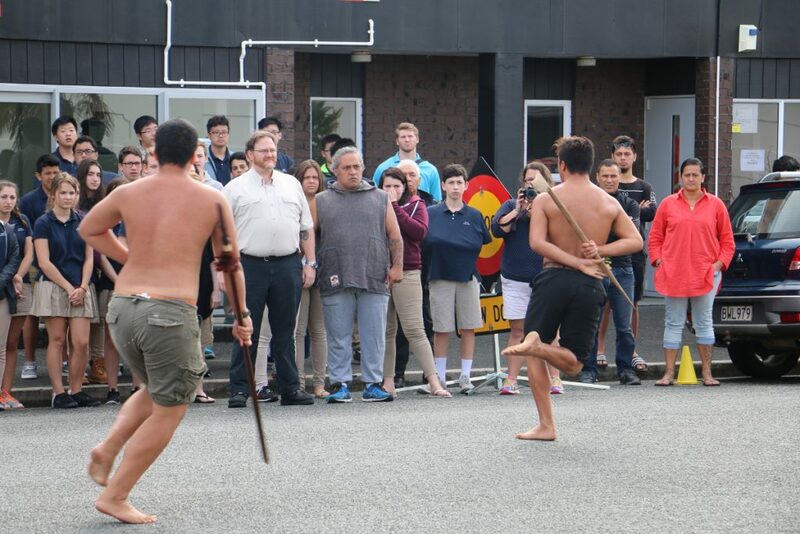 Hui whakapiki for Paerangi ākonga (Years 11-13) will be held on the second week of term 2 from May 11 -13. 4. Book a date and time slot. The Kura will support applications to the Tamahine leadership programme, Urutapu. 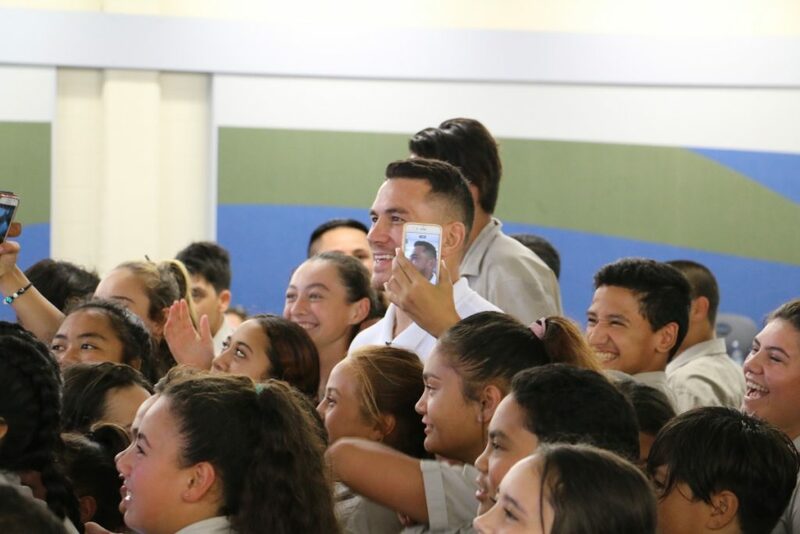 The purpose of Urutapu is to inspire, educate, empower and enable Tamahine through meaningful leadership. Tamahine who participate in the program will be supported to identify their purpose gifts talents and passion. This will then be followed up by creating a 24 month self-development plan that aligns with girl’s aspirations. It’s a free two-year program that the girls must be committed to completing, and is run as a series of quarterly noho mare and monthly workdays, which means that it will not interfere with school work or study. Go online to www.urutapu.com to apply. Whānau are being encouraged to take advantage of the early payments system for fees, like NCEA. 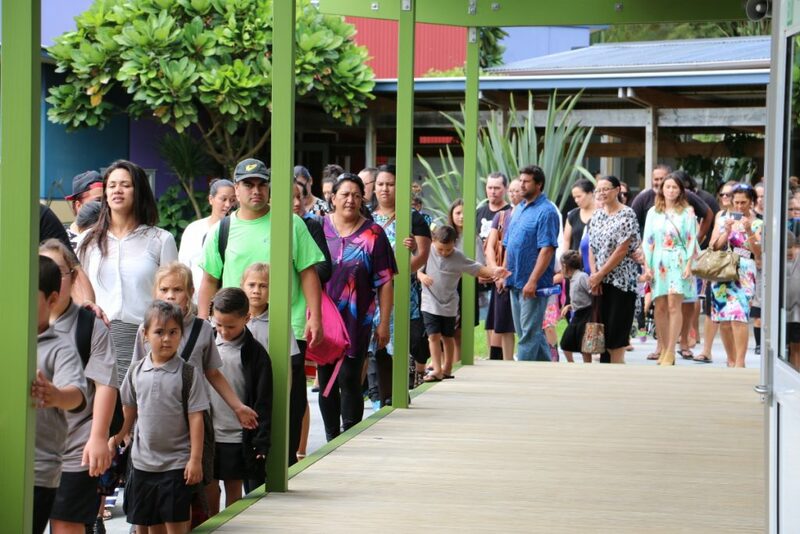 Administrator Kaylem Corkery said NCEA fees of $76.70 can start being paid to the Kura now, even though they’re not due till September 14. “Whānau can start making weekly contributions at $5-10 per week, or whatever they can afford,” she said. The early payments system can be applied broadly across a number of Kura-related costs like sports trips and stationery. Financial assistance reduces their fees to $20 per ākonga; $15 per ākonga for whānau with 2+ sitting NCEA this year. 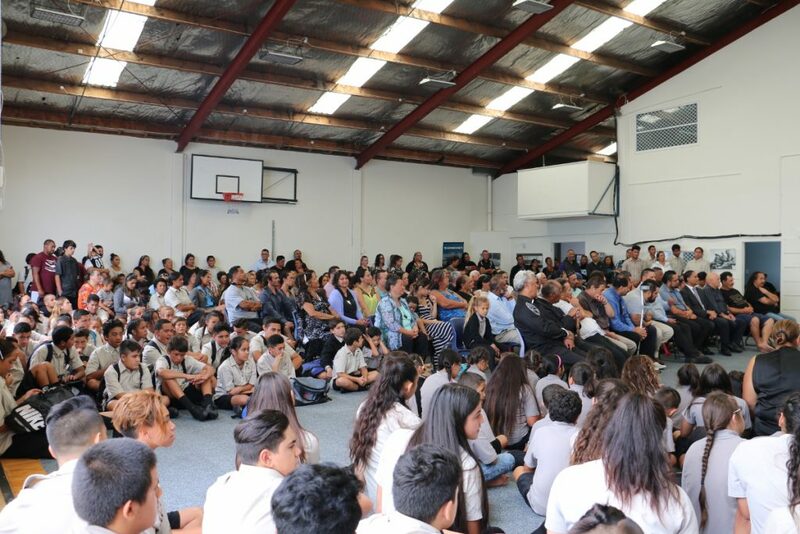 The year started with a pōwhiri for new staff and ākonga on February 9. New purpose built buildings for Paenuku were opened on the first day. 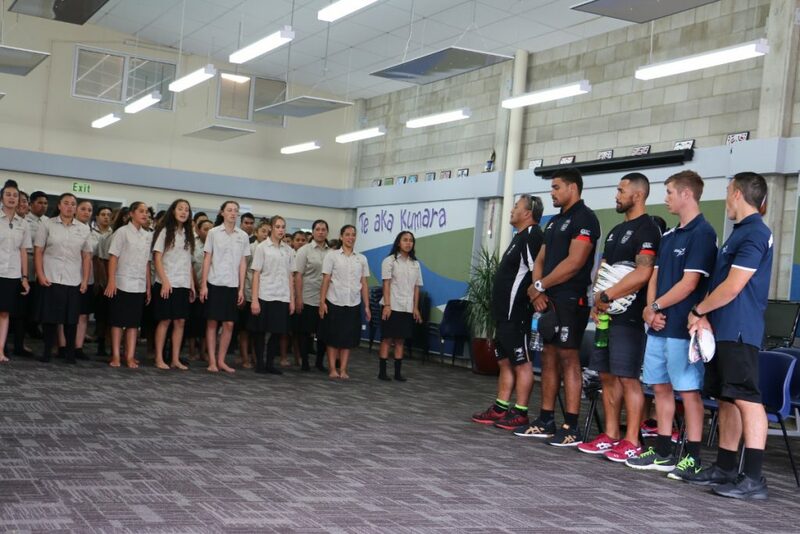 The Warriors rugy league team were in Whangarei for a pre season game and some of the team stopped into the Kura. 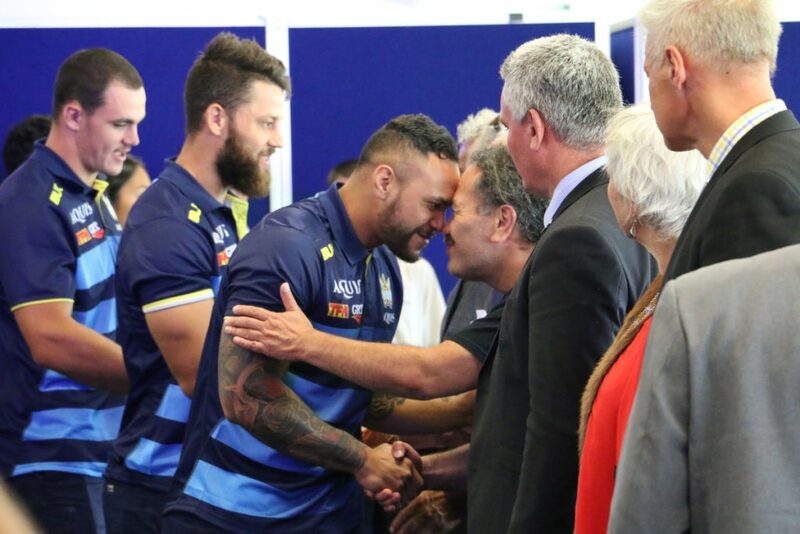 The Warriors opposition, the Gold Coast Titans, were welcomed at Toll Stadium by the Mayor. TKW ākonga helped with formalities. Ross School from New York came late Feb for a week. The Kura hosted them on Motatau Marae and took them around Northland. Here they’re welcomed to the Kura. 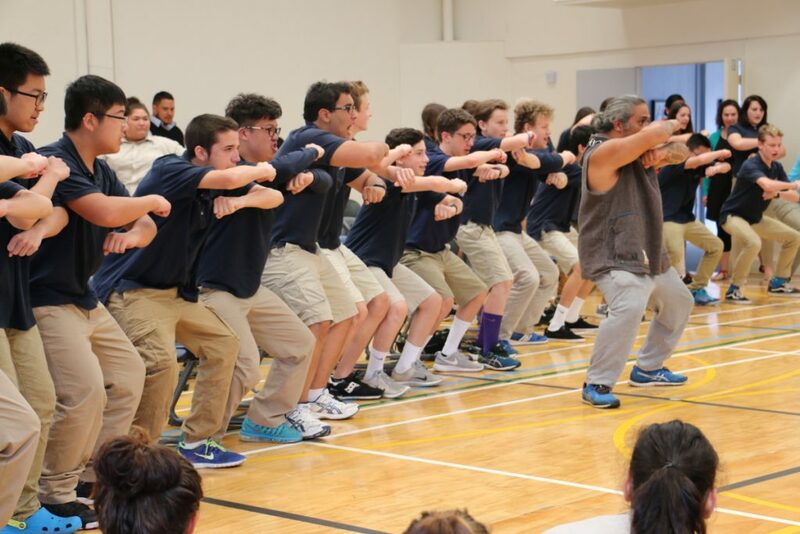 Ross demonstrate they’d learn’t a few things with their own version of the haka at the pōwhiri. 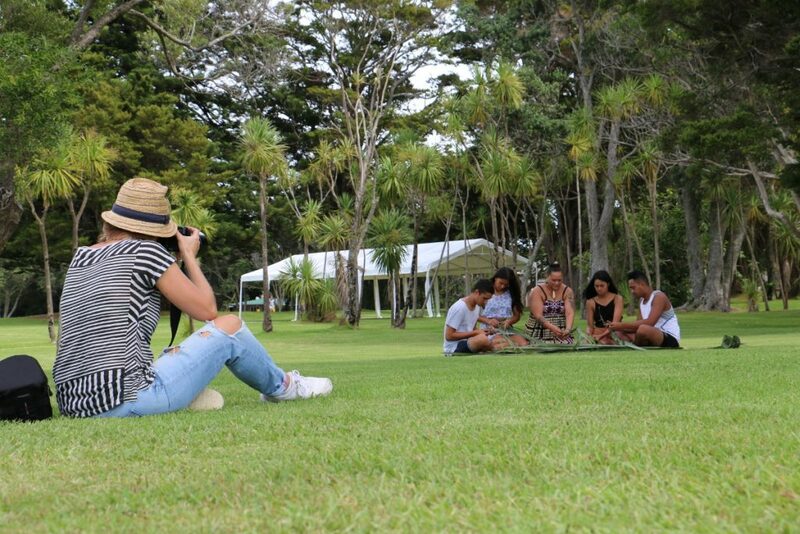 Mid March some of the business studies ākonga from Rangatahi Inc collaborated with Northland Inc on a photoshoot. 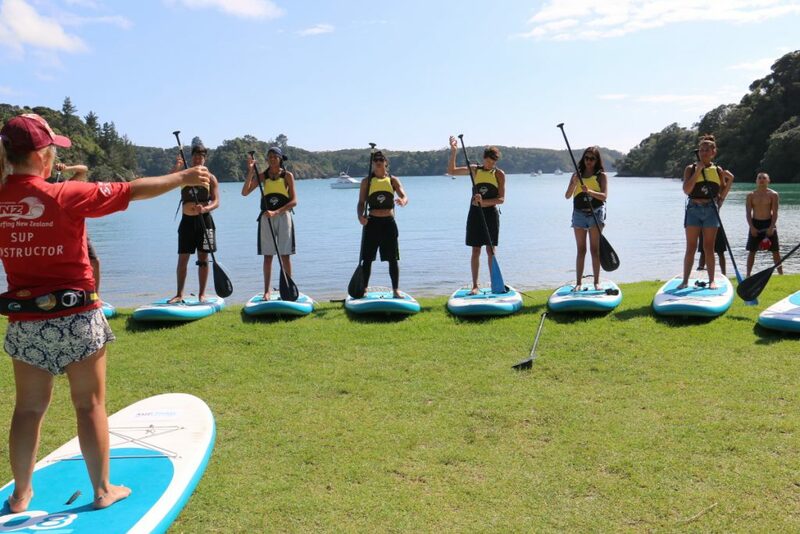 The images would be used to promote Northland to the international tourism market. 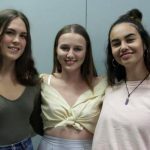 The Northern Advocate wrote about the photoshoot. This photo of two of our stars of the shoot appeared in the paper. 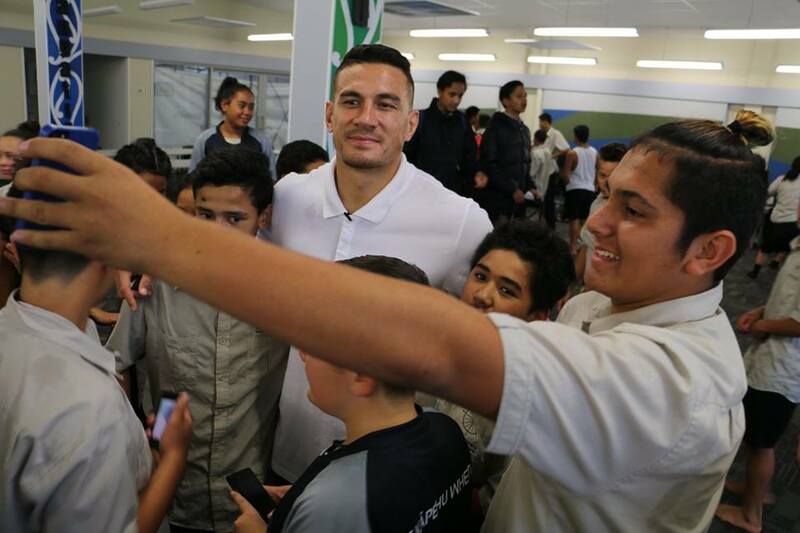 Sporting megastar Sonny Bill Williams made a random visit to the Kura causing unseen hysteria. 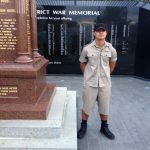 The Leadership Academy were invited to support the Māori veterans whose claim was before the Waitangi Tribunal. 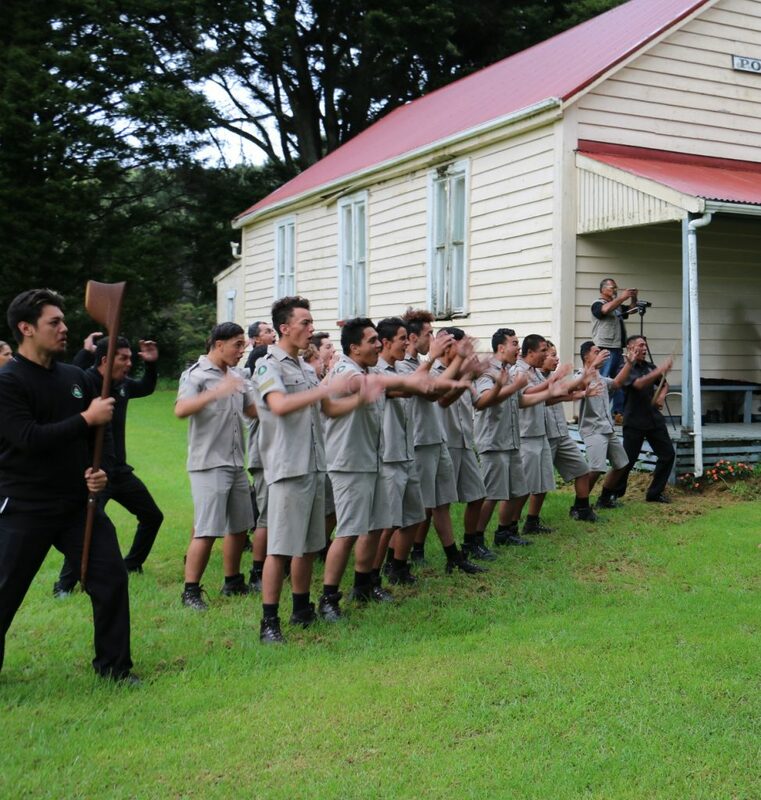 The Academy boys are pictured welcoming the vets on to Otiria Marae in March for the Northland hearings of their claims. 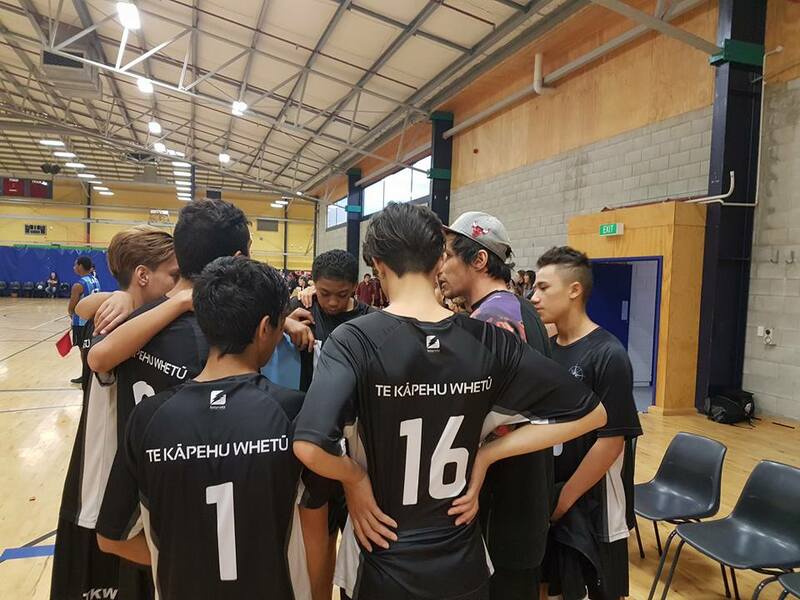 The senior boys A volleyball team went to nationals in April in Palmerston North and came runners up in their division earning automatic promotion to the top grade next year. 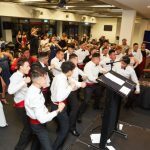 The A team had a successful season including beating Tikipunga High in the local competition – the first time Tiki had been beaten in over a decade. 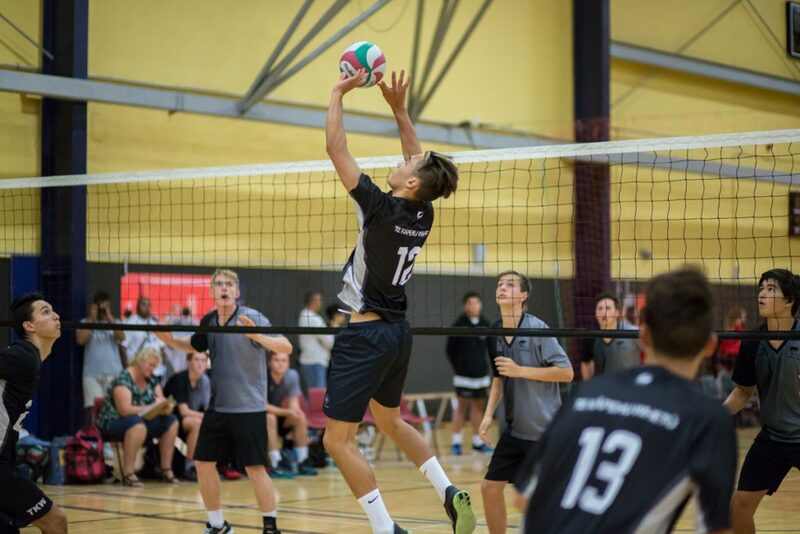 The junior boys team playing under the guise as the senior boys B team also went to the nationals. The experience was invaluable in preparing them for the junior nationals later this year. 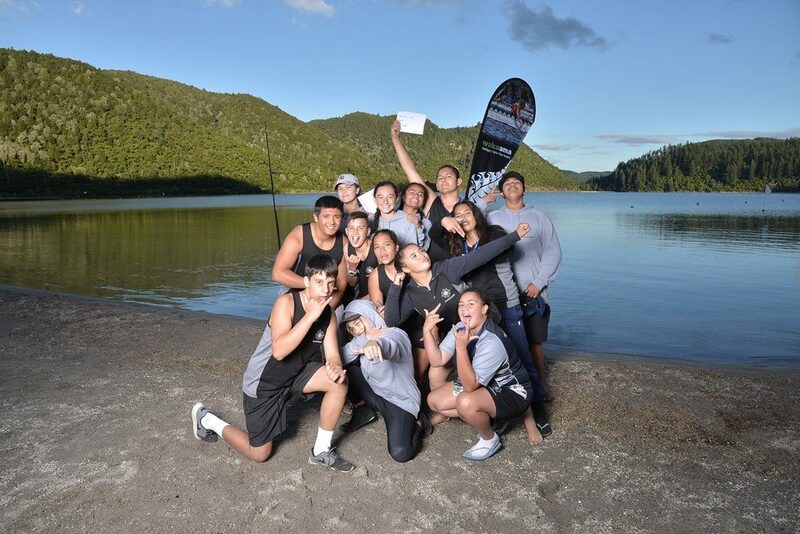 Waka ama also had their nationals on during the first week of April. 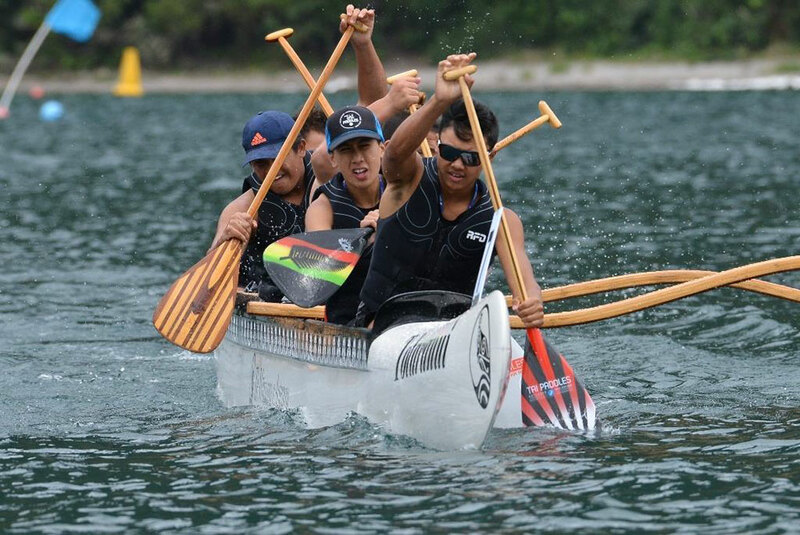 Over 30 paddlers represented the Kura in various events. Pictured here are the victorious U16 mixed W12 team who came third in the Bowl final. The U16 W6 boys went all the way to the finals recording the fastest time during the heats of the 250m sprints in just over 54secs. 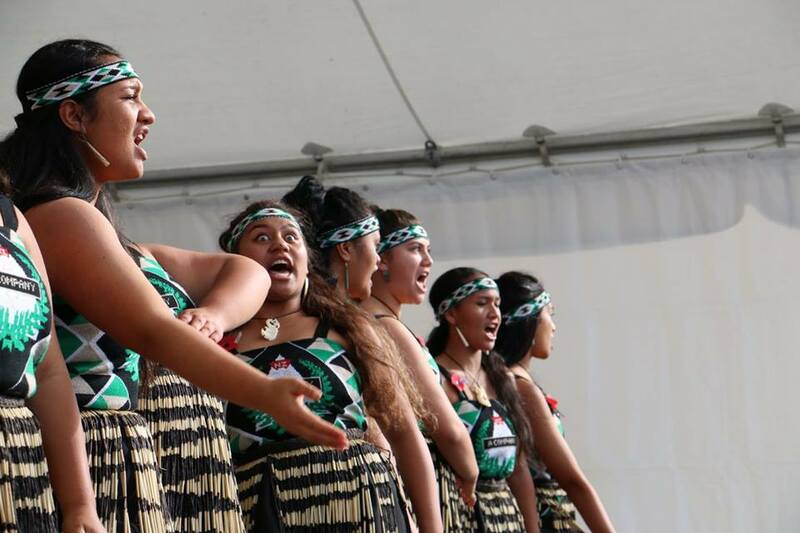 And then there was the Tai Tokerau Festival at the end of term one.